Since 2011, Teddy Telles has been providing an interactive photography experience to all types of special events. The Teddy Telles Photo Booth is not your typical "photo booth", it's a portrait session. Teddy Telles adds a social element to your event and leaves your guests with a printed photo as a keepsake to help remember the occasion. The custom B&W filter is flattering on all and gives a nod to the classic tones of vintage photo booths. The booth is fantastic for corporate and commercial events. Available options include: company branding on prints, real time upload to your preferred social networking website, photo projection so all can enjoy the images as they’re captured, prop packages, and digital delivery of all images with in 24-hours. Clients include: Catherine Malandrino, Airwalk, Excel Sports Mgmt, Union Pool, and many more. Some of the charities Teddy Telles Photo Booth has contributed services to include: Juvenile Diabetes Research Foundation, Point of Hope (A Deron Williams Foundation), Our Place Youth Centers and more. Most recently Teddy Telles collaborated with the Brooklyn based band, The Defibulators. 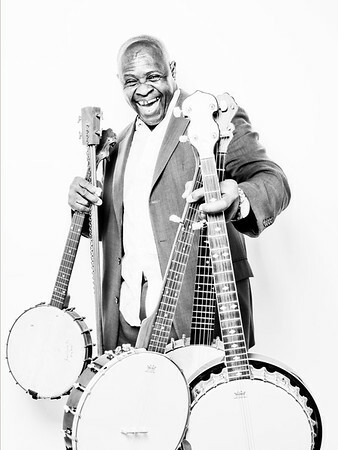 “EVERYBODY’S GOT A BANJO: Instrument of the Everybilly“ is a series of portraits taken August 28th in a photo booth at The Defibulators’ Debt’ll Get’em Album Release Party at Brooklyn Bowl. 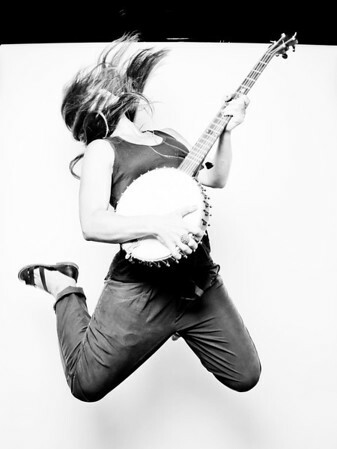 Fans stormed the live “Everybody’s Got A Banjo” photo booth over a period of 4 hours where fashion/music photographer Teddy Telles shot hundreds of portraits. A selection of 50 portraits curated by Chelsea Market, ran from October 1st, through November 4th, 2013.